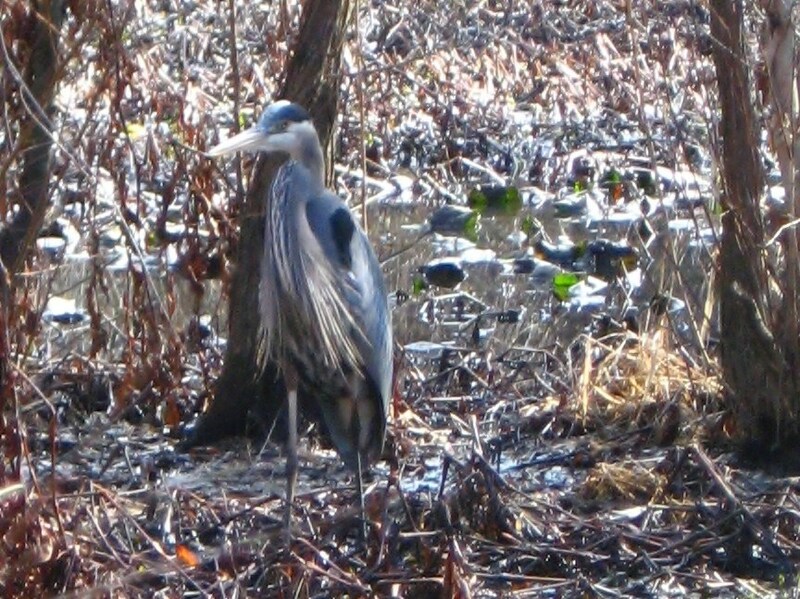 We found a Great Blue Heron standing stock still in the marshy area near the trailhead. Eventually we got a better view. Just look at that throat plumage! 🙂 This made me smile. How contorted can he get? 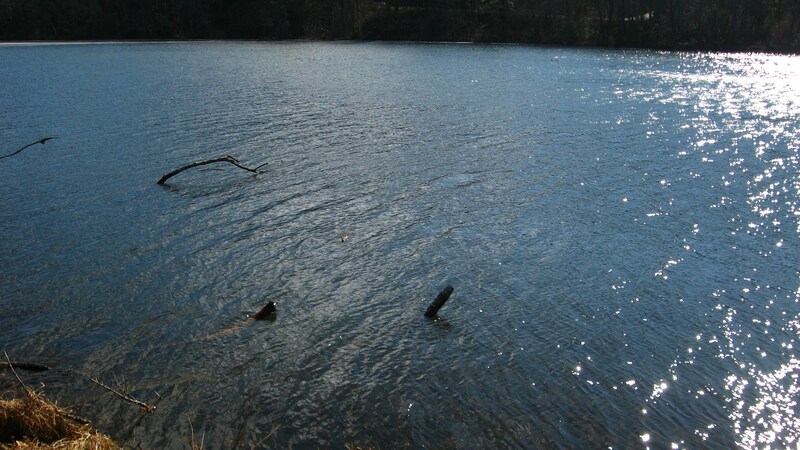 This below is a view of ripples going across the lake with the wind. The ripples you see form what is known as an interference pattern. Well, thanks for visiting. I’ll be back in a few years, once I’m settled working the job I’ll work and living where I’ll live–once I have time to really give birds the attention they deserve. Those are great pictures, Benjamin, especially for a point-and-shoot. 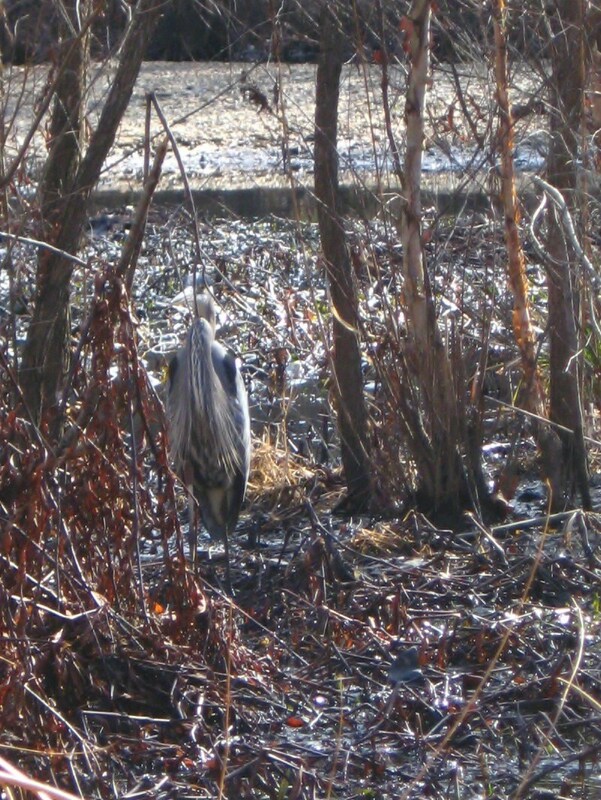 Funny how we began to think the Great Blue Heron was a statue…until he finally moved! I enjoyed the walk with you and the rest of the family and look forward to going back in the spring. I do hope you’ll get a chance to update your blog a bit sooner than a few years—-you’re off to a great start! 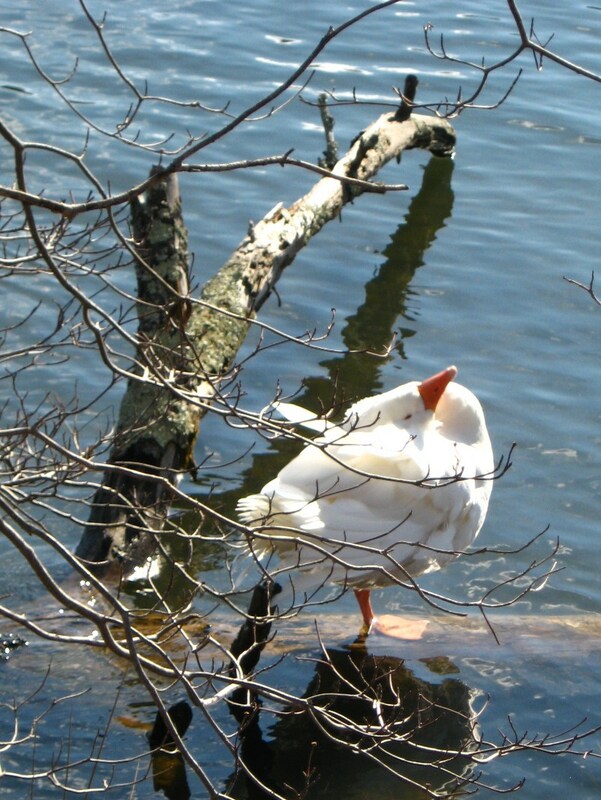 By the way, I’m a little embarrassed to ask such a dumb question (you know my bird knowledge is limited), but was the contorted white bird a duck or a goose?